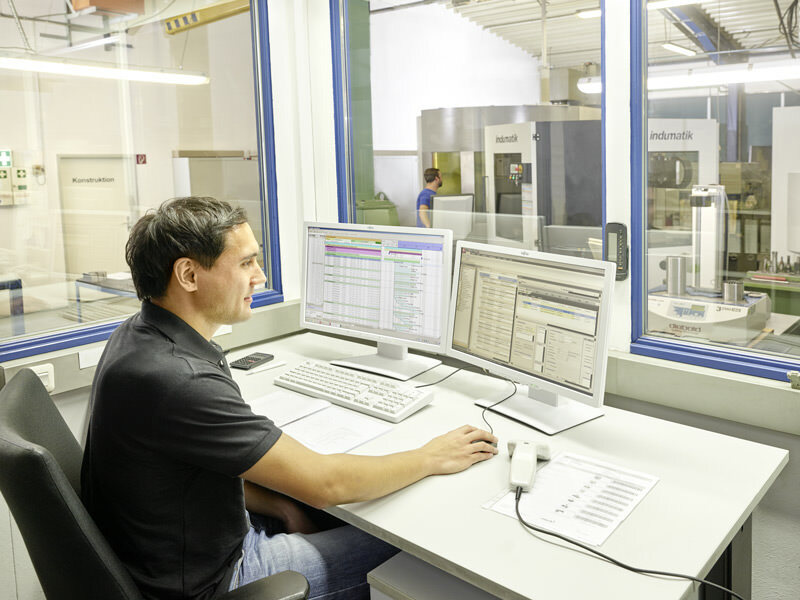 We are able to minimize the throughput times of the tools and reliably analyze the progress of tool manufacture due to detailed planning as well as the use of suitable technologies and the controlling of the available resources. We develop and produce solutions for sheet metal forming. Tailored to your demand and your needs we make cutting, progressive, bending, drawing, follow-on composite tools and transfer tools. 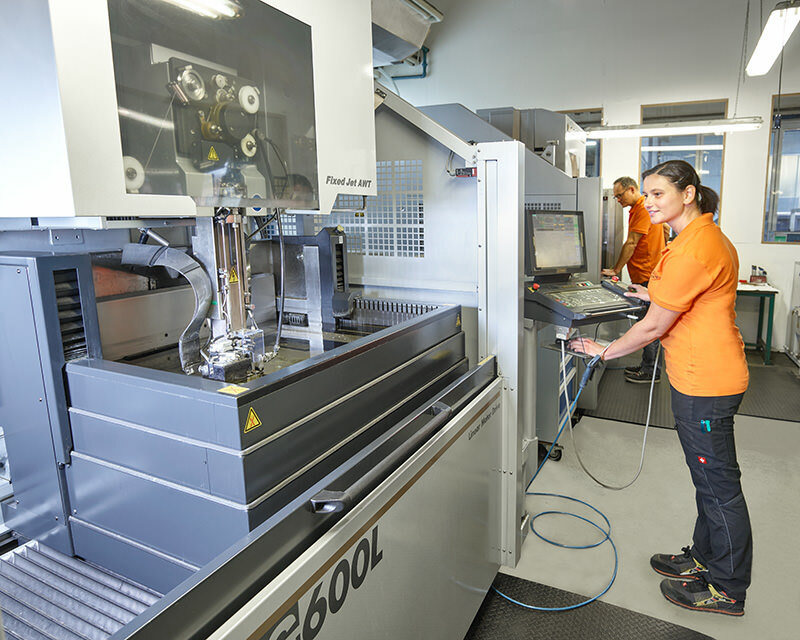 We specialize in complex tools with integrated parts feeding for large-scale production. Tools for small-scale production complement our product range. 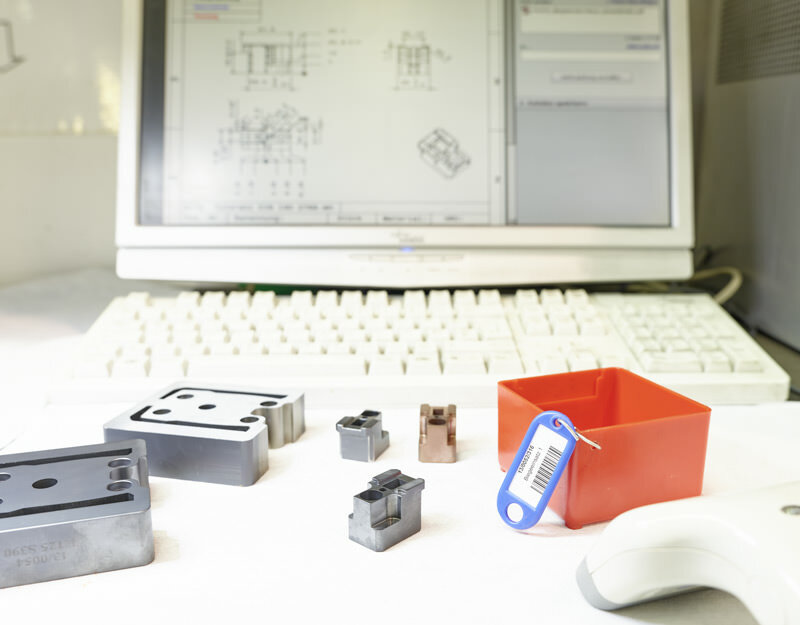 Our assortment of presses and testing presses enables us to optimally coordinate the components of your tool. Equipped with modern grinding, erosion and milling machines, we can offer you a fast and customer-oriented order processing. By using a specially developed spare parts management system, we are able to make sure that we have a permanent stock of parts for you. 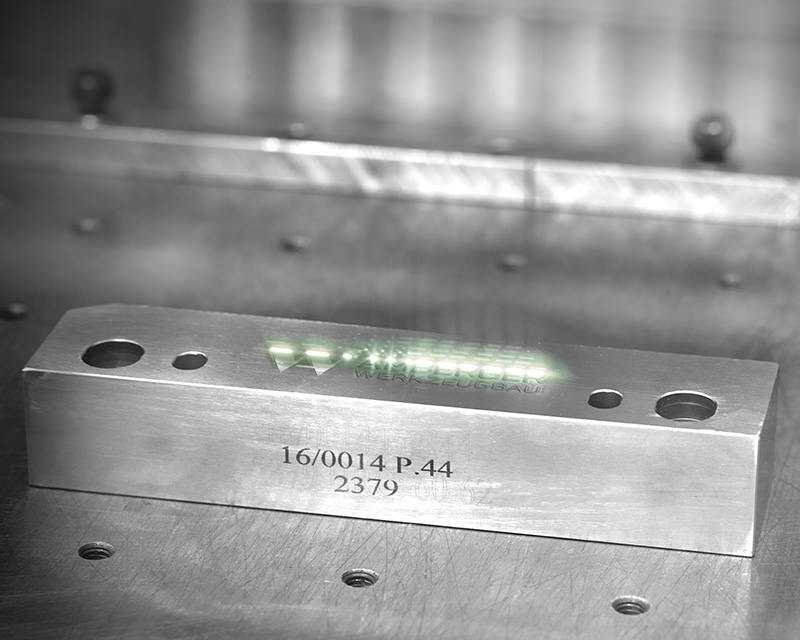 By means of our laser marking device even the smallest components can be marked permanently and clearly. Texts, logos and pictures can be applied to metallic surfaces according to your wishes.